Sengupta And K. Chakraborty, JJ. “A. Whether the method of accounting referred to in section 145 of the Income-tax Act, 1961, prior to its substitution by the Finance Act, 1995, with effect from April 1, 1997, included the hybrid or mixed system of accounting and it was open to a company assessee to follow the cash system of accounting in respect of a particular source of income and the mercantile system in respect of the others ? B. 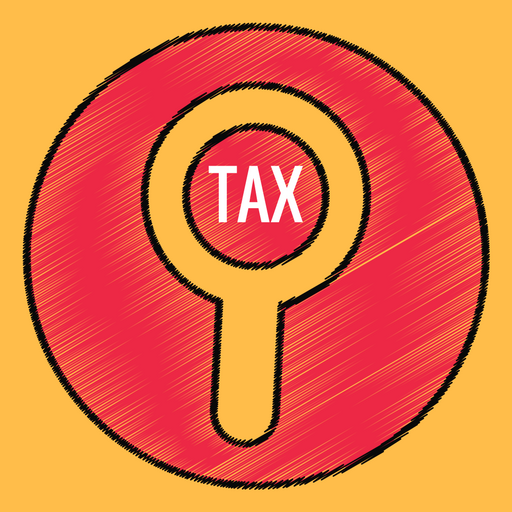 Whether the provisions of section 209(3) of the Companies Act, 1956 as amended by the Companies (Amendment) Act, 1988 have any overriding effect on the provisions of section 145 of the Income-tax Act, 1961 and the income of the company assessee is required to be computed under the Income-tax Act, 1961, on the basis indicated in section 209(3) of the Companies Act, 1956, irrespective of the method of accounting regularly employed by such company ? C. Whether the Tribunal misdirected in law in upholding the assessment of interest income on accrual basis even though the appellant was admittedly following the cash system of accounting regularly in respect of interest income and expenditure which had all along been accepted in its assessments since inception ? 2. None appears for the respondent and the matter was heard on June 29, 2010. We, therefore, got the assistance of Mr. Khaitan alone who appeared for the appellant. He submitted that the learned Tribunal had completely erred in restoring the order of the Assessing Officer so far as it relates to the addition of a sum of Rs. 1,38,424 being the income from interest is concerned. He submits that in accordance with the provisions of the Income-tax Act then applicable his client maintained the mixed system of accounting. As far as the receipt of interest income and also expenditure on account of the same head is maintained from actual basis not on accrual basis. But accounts on other heads are maintained on accrual basis. Indeed such mixed accounting system was accepted by the Commissioner of Income-tax (Appeals) in the previous assessment year and no one questioned the same. This matter relates to the assessment year of 1991-92. The Assessing Officer without discarding the entire accounting system has merely recast a portion of the accounts, viz., income receipt on account of interest to maintain its mercantile system, viz., on accrual basis. He submits that when there is no reason assigned for discarding the entire accounting system it is not within the competence of the Assessing Officer to do so. Therefore, the decision of the Commissioner of Income-tax (Appeals) was absolutely perfect and justified and the learned Tribunal has committed an error on the plea that since the relevant provisions of section 209 of the Companies Act stood amended in 1988. In view of the amendment it was incumbent upon the appellant-assessee to maintain the accounts as mentioned in the amended provisions of sub-section (3) of section 209. According to him, the reliance of the Tribunal on the provisions of the Companies Act as amended was totally wrong approach. Under the Income-tax Act, as it was prevalent at that point of time with regard to the mercantile accounting system was permissible there was no reason to furnish such accounts following the Companies Act, 1956. This mixed accounting system has been wrongly discarded by the Tribunal. He further submits that this court in the cases of Juggilal Kamlapat Udyog Ltd. v. CIT  278 ITR 52/ 153 Taxman 259 (Cal.) and also in case of K.S. Mehta (HUF) v. CIT  278 ITR 59/ 151 Taxman 273 (Cal.) and the Madras High Court in the case of CIT v. Shriram Transport Finance Co. Ltd.  311 ITR 165 have held consistently that when the provisions of the Income-tax Act permits the assessee to maintain a mixed accounting system, viz., both mercantile as well as cash basis, it is for the assessee to exercise its option. Once it is done it is not for the income-tax authority without any reasoning to discard it altogether. 3. Accordingly, accounting system on cash basis in so far as income on account of interest is concerned should have been accepted by the learned Tribunal. He has relied on a decision of the Supreme Court CIT v. Bilahari Investment (P.) Ltd.  299 ITR 1/168 Taxman 95. In this judgment, it is observed, amongst others, the accounting system cannot be discarded unless the Department records a finding that the method adopted by the assessee results in distortion of profits, the Department cannot insist on substitution of the existing method. In this case, Mr. Khaitan submits that there was no finding nor any decision either by the Assessing Officer or by the learned Tribunal that the mixed accounting system needs to be discarded because the same results in distortion of profit. In other words, he said that he cannot make a piecemeal change in the accounting system. Either the entire accounting system has to be discarded or not at all. 4. He submits that the amendment of the Companies Act has got no impact as wrongly held by the learned Tribunal though this amendment of the Companies Act is later piece of legislation but still then the income-tax authority is not bound by the provisions of the said amended provision. 5. We have gone through the order of the Assessing Officer and his reasoning, the judgment and order of the Commissioner of Income-tax (Appeals) as well as the judgment and order of the learned Tribunal, and we have also considered carefully the submissions made by Mr. Khaitan. It appears to us in order to answer the questions formulated by this court earlier cardinal point involved in this matter is whether the amendment of the provisions of section 209, method of keeping of books of account by the company in 1988 has got any impact and/or overriding effect over the provisions of the Income-tax Act. “145. (1) Income chargeable under the head ‘Profits and gains of business or profession’ or ‘Income from other sources’ shall, subject to the provision of sub-section (2), be computed in accordance with either cash or mercantile system of accounting regularly employed by the assessee. (2) The Central Government may notify in the Official Gazette from time to time accounting standard to be followed by any class of assessees or in respect of any class of income. 7. Therefore, the assessee maintained the books of account on the basis of mixed procedure and it was permissible at the relevant point of time even though the amendment of the Companies Act came into force at the relevant point of time. Indeed, the Commissioner of Income-tax (Appeals) on earlier occasion has allowed this mixed accounting system and accepted the same and granted appropriate relief. Therefore, we are of the view that the Assessing Officer should not have ignored the earlier order of the Commissioner of Income-tax (Appeals) in respect of the same assessee and on identical fact. This court as well as the Madras High Court have consistently recognised the mixed accounting system in spite of the amendment of section 209 of the Companies Act, 1956. In the case of Juggilal Kamlapat Udyog Ltd. (supra), the Division Bench of this court has held that the hybrid system followed by the assessee was clearly permissible in law and the only requirement that income should be deducible from such accounting system and in the absence of that the authorities of the Revenue can interfere. But, as there was no finding that the income should not be deduced from the accounts maintained by the assessee in the assessee’s case, the interference by the Assessing Officer was not permissible. 8. Similar view was taken by the same Bench in the case of K.S. Mehta (HUF) (supra) and by the Madras High Court in the case of Shriram Transport Finance Co. Ltd. (supra), while accepting the view of this court held amongst others the hybrid system of accounting was permissible during the relevant year. Hence, such accounting system should be followed. 9. The Supreme Court in the case of Bilahari Investment (P.) Ltd. (supra) has held that it is only in this case here the Department records the finding that the methods adopted by the assessee results in distortion of profit, the Department can insist of substitution of the existing method. In other words, it is held that if the Department does not find that a method adopted in the accounting results in distortion of profit the Department cannot discard any portion of the accounting system. 10. It is true those decisions certainly favour the view taken by the Commissioner of Income-tax (Appeals) and also support the submissions of Mr. Khaitan but then in those decisions the impact of the amendment of the provisions of the Companies Act section 209 with regard to the method of keeping of books of account by the company was not considered. 12. Thus, on reading of the sub-section it is crystal clear by operation of the law there shall not be any proper books of account being kept unless the mercantile system, viz., the accrual basis is followed. Obviously, the aforesaid provision is apparently not consistent with the provision of section 145, as it stood at the relevant point of time, which permitted the mixed accounting system. 13. We have checked up the amending Act of the aforesaid amendment of section 209 and nowhere we find that the aforesaid provision has got overriding effect over any other law nor the Companies Act elsewhere provided that the provision of the Companies Act has got the overriding effect over income-tax and fiscal statute. Under such circumstances, though there is slightly inconsistency in the method of accounting still then the method of accounting system as provided in the Income-tax Act has to be followed and the income-tax authority has no jurisdiction or power to resort to any other provisions where there has been an express provision in the Act itself. It is inconceivable that the income-tax authority without having any authority to resort to the same provision of some other Act in the same subject. The income-tax authorities derive their power and exercise their jurisdiction under the provision of the Income-tax Act and income-tax alone unless otherwise permitted by the other Act itself. 15. Question A is answered in favour of the assessee and in the affirmative. 16. Question B is also answered in favour of the assessee-appellant and in the negative. 17. Question C is also answered in favour of the appellant-assessee and in the affirmative. 18. In view of the answers against the previous three questions the fourth question need not be answered. 19. Hence, the appeal is allowed. 20. Accordingly, the judgment and order of the Commissioner of Income-tax (Appeals) is restored. This entry was posted in Section 145 and tagged 344 ITR, Calcutta High Court, In favour of Assessee, method of accounting.